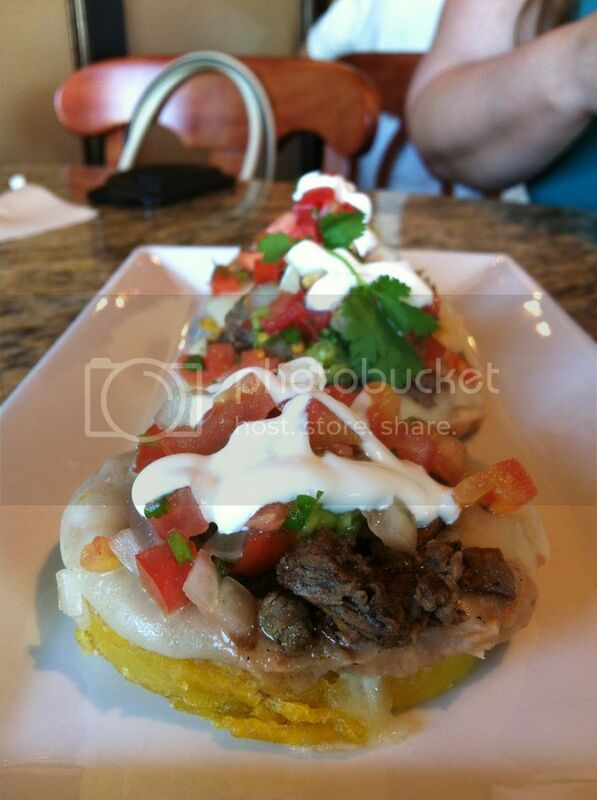 Fatgirl Hedonist: Good Mexican Food Does Exist Outside of Homestead! Good Mexican Food Does Exist Outside of Homestead! On one of my recent lazy Sundays, my friend and I found ourselves driving down US1 from Fort Lauderdale looking for food. I was craving Mexican food, but didn't have the energy to drive to BFE Homestead. I then remembered Cheen Huaye in Aventura had good Mexican food, but it had been a long while since I had been. It was was definitely time to revisit. We walked up to a relatively busy restaurant and sat inside because it was way to damn hot to sit outside (sitting outside in Miami heat is only for tourists and masochists). We were promptly served housemade chips and salsa. I loved the salsa, they fire roast their own rajas and make this smokey, lightly spicy salsa all on their own. Definitely inhaled these and could not stop eating them. 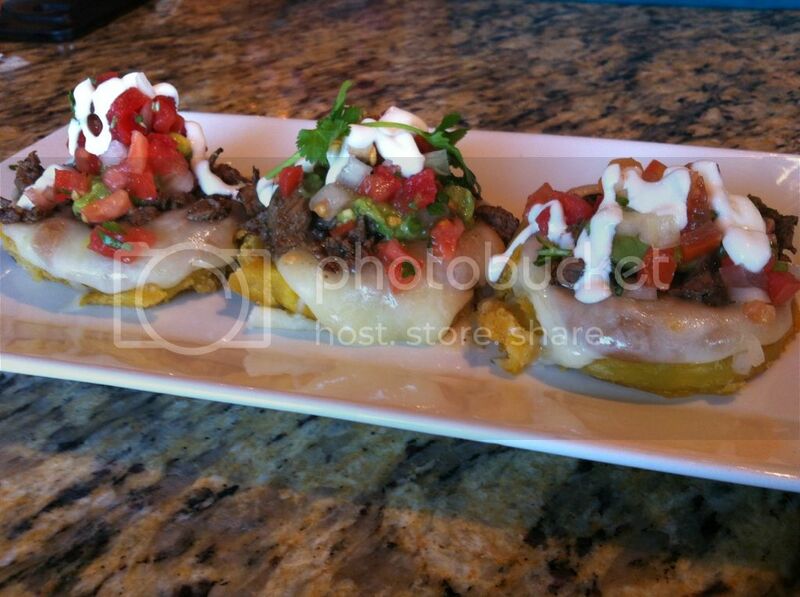 When it came to the appetizer, we settled on tostones rellenos with steak. I really liked these, the toston was slightly thicker than typical Cuban tostones and were topped with a mountain of fresh ingredients. Refried beans, melted cheese, homemade pico de gallo, homemade guacamole, greatly seasoned steak and sour cream. They were delicious and the freshness of all the ingredients really made the flavors pop. My only gripe is that for $10 I would've liked to have gotten more than just three lonely tostones. Up next, my friend had their chicken fajitas with flour tortillas. 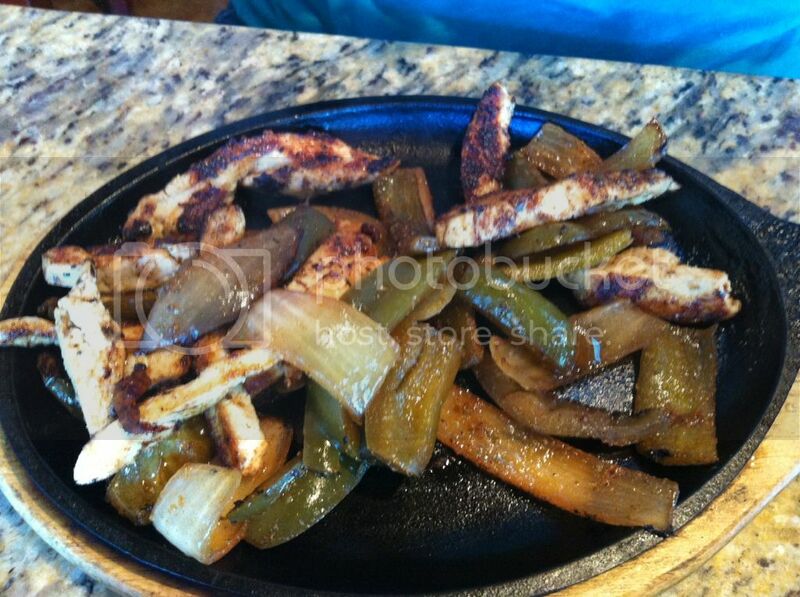 The chicken fajitas are a build it yourself project and come with grilled onions and green peppers. 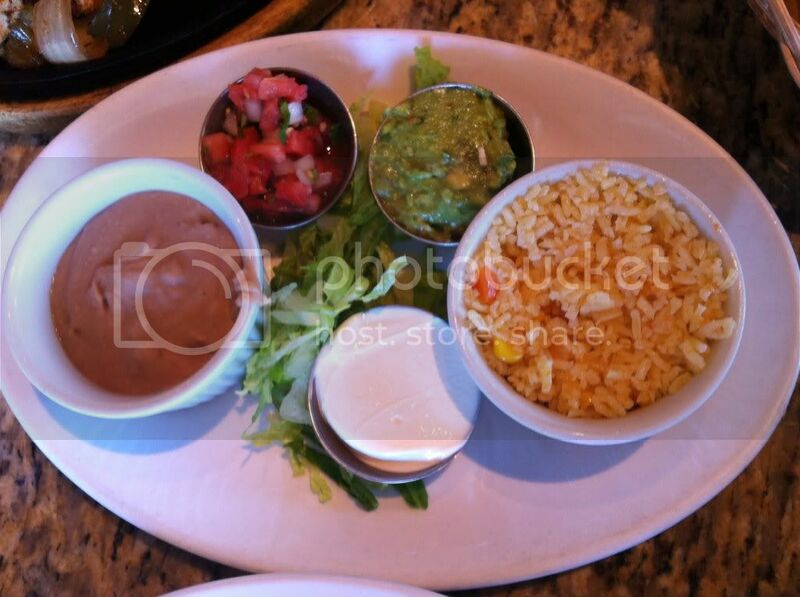 The fajitas come with a side of Mexican rice and refried beans. By “Mexican rice” they really mean their take on rice pilaf, nothing extraordinary about them, but still tasty. The refried beans had a great smokiness to them that I loved. Definitely try their refried beans. You also get a side of their pico de gallo, guacamole and good ol' sour cream as your fajita fixins. The chicken was smoking hot and very well seasoned; the portion was hefty enough to save some for the next day's lunch. 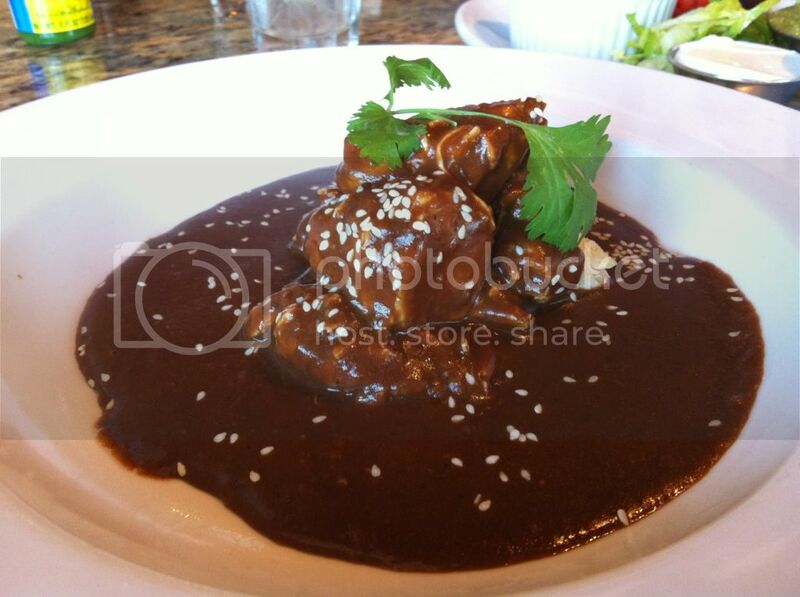 My dish was their Mole Poblano, which is chicken breast smothered in their mole sauce. The chicken breast itself is cooked separately from the sauce and was a little on the dry side for me. None the less, the homemade mole sauce (which includes chocolate and a total of 14 different peppers and spices) saved this dish with its mild heat and complex flavor. The chicken is topped off this a light sprinkle of sesame seeds that adds a nice dimension to the dish. The sesame seeds give a great little crunch and a slight nutty flavor. 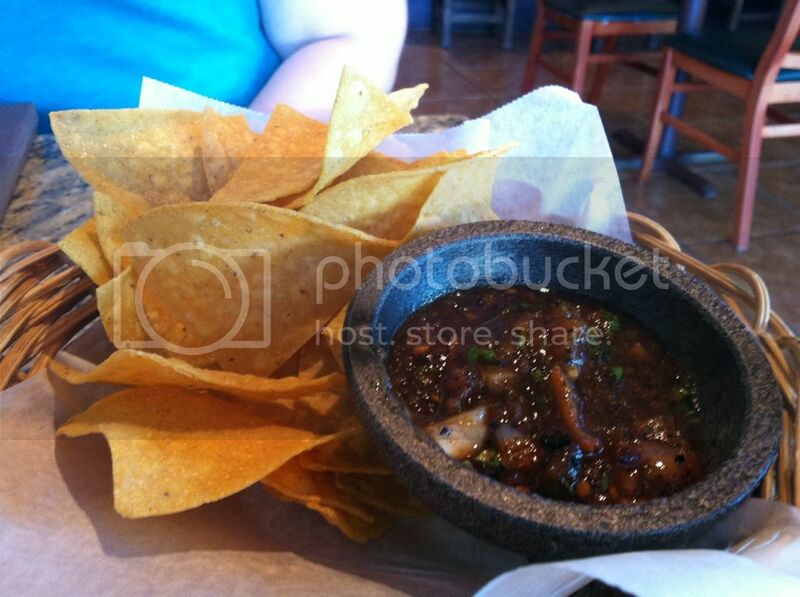 The Mole Poblano comes with a side of their Mexican rice and refried beans. Also you get the option of flour or corn tortillas (neither of which are made on site). I went with corn tortillas and they were good. There were a ton of other dishes on this menu that I need to try including their Carne Al Tamarindo, Arrachera a la Campecina and Poc-Chuc. The service was great, our drinks were refilled as soon as we drank half a glass and the waiters were all extremely attentive. I especially love the fact that good Mexican food isn't an hour away in Homestead and it's easily accessible. Be sure to check this place out, I'll definitely be back soon.